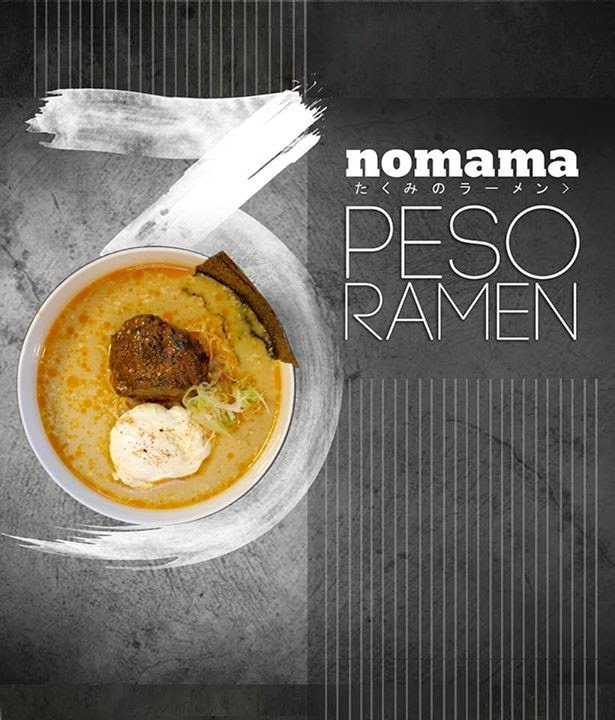 THE PICKIEST EATER IN THE WORLD: NOMAMA: RAMEN LIKE NO OTHER! 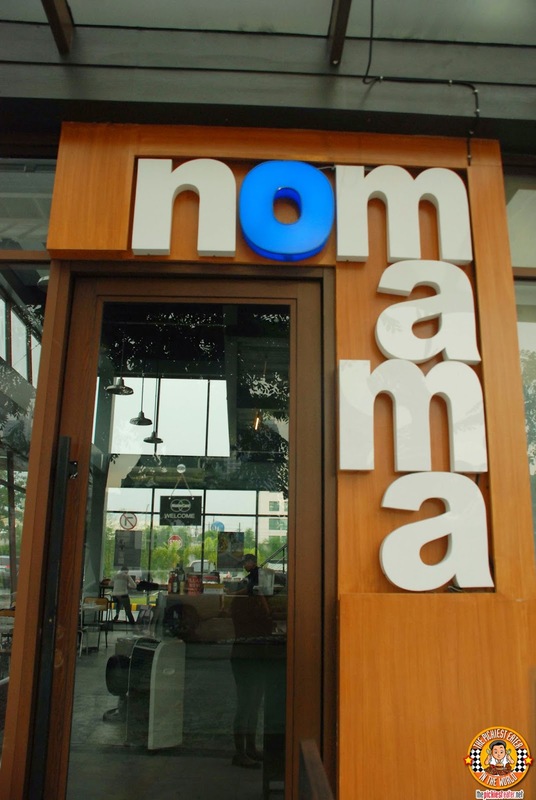 This was the second time for me to visit Nomama, but the first time being when I visited the original Quezon City Branch. The Capitol Commons branch is a loft type layout, with ample space in the ground floor (Including an al fresco area for smokers), and second level with additional tables. The clean, wooden meets industrial feel from the first branch is maintained in Nomama's Capitol Commons location. I don't eat Edamame, nor do I eat Hummus. So I wasn't expecting anything much when I tried the Edamame Hummus with Spiced Pita (P170). After one, bite, Rina, basically said, if I didn't try it, I would regret it for the rest of my life. See, this is why my wife is the perfect woman for me. She's pretty familiar with my palate, and knows what I will and won't like.. and She was right about the Edamame Hummus. 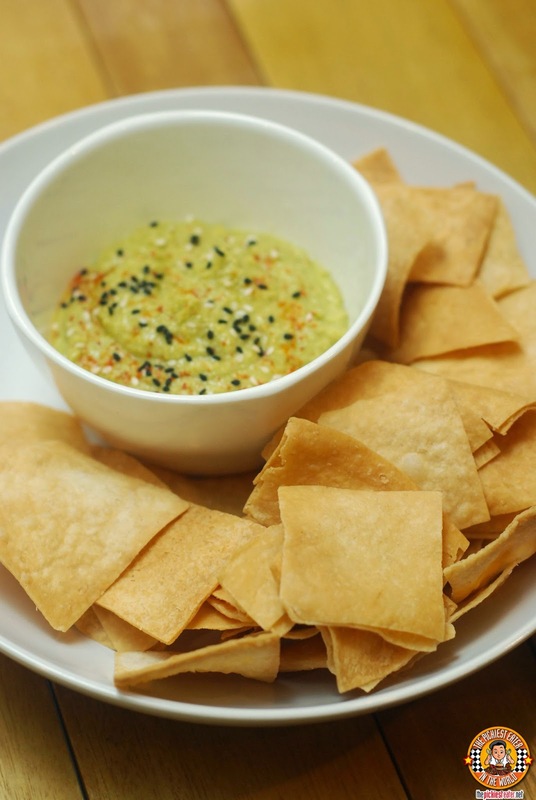 I discovered a smooth puree of Edamame and tahini, with a light dusting of Japanese 7 Spice that gave the dip an elevation of flavor. The toasted Pita that comes with the dish were tasty even on its own, but is perfect with the dip. The dish that I did tear into without any for of convincing needed was the Tori Karaage Sliders. Few could resist this crunchy, yet remarkably juicy Japanese Style Brined Chicken Karaage cutlets, laid out on a bed of tasty slaw, and sandwiched between a soft, toasted brioche bun. If you're looking for a seafood version, Chef Him whipped up some of his unique Fresh Crab Sliders. Filled with fresh crab meat, the toasted buns are smeared with Kimchi Mayonnaise, with Baby Radish, Avocado and Pickle Watermelon rind as the condiments. 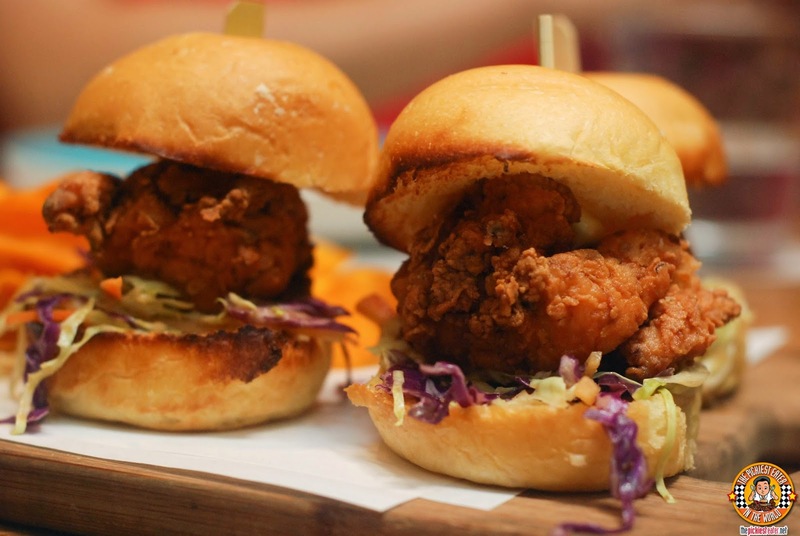 Another dish you may opt for is the Soft Shell Crab Sliders. Soft Shell Crab Tempura, Also with Kimchi Mayonnaise and a watermelon salsa, nestled between a buttery brioche bun. You can't go to Nomama and not order any other their noodle dishes, right? Your biggest problem would most likely be, which one you would order, because every dish sounds amazing. In case you're lost, let me give you a tour of the basics. 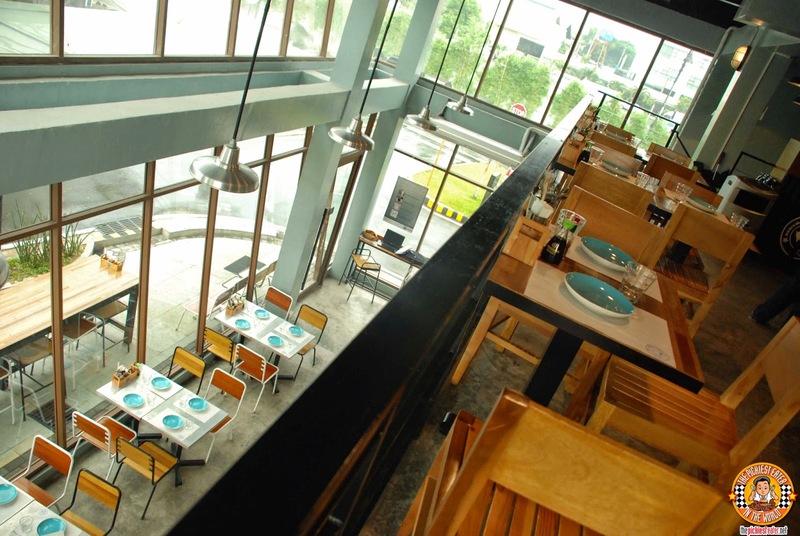 I suggest you start with The Nomama Ramen (P375/ P 245). Incredibly tender Pork Chasu and a perfectly cooked Tamago (With the yolk still a bit wet) floating on a bed of noodles that are swimming in Nomama's In-House Pork Stock, with special miso sesame blend. A great swirl of flavor in every bite! For those that like their ramen to pack a little punch with its spiciness, then Nomama's Tantanmen (P390/P260), with its spicy Sesame Broth topped with strips of delicious organic pork and peppered with chilis, would surely satiate that fix. 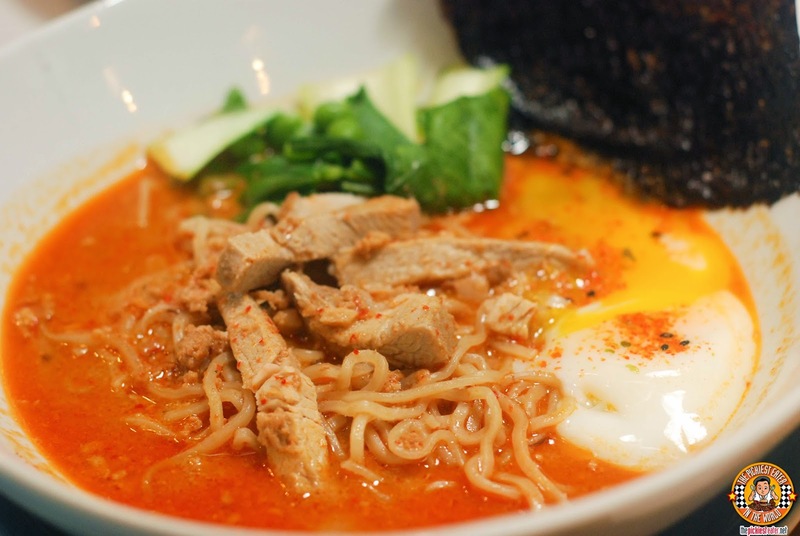 More than just a spicy ramen dish, the tantanmen also has poached egg swimming in its broth, and a bit of chopped bok choy. One of my favorite ramens from Nomama is the Thai Green Curry Ramen (P355/P240). 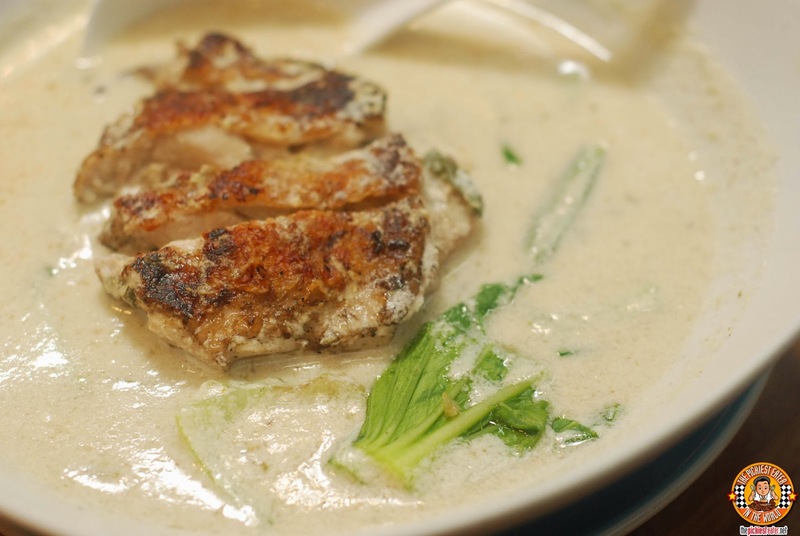 This beauty is a creamy homemade curry paste blended into a rich coconut broth, and topped with a stunning piece of seared chicken fillet, and garnished with bok choy, and peas. I strongly suggest you get the biggest bowl (Especially if you have to share with Rina). I'm not a fan of raw food, but since its an integral part of the Japanese cuisine, it was inevitable that a dish of the sort would be served. And though I wasn't particularly fond of Nomama's Half Cooked Tuna Steak (P390), I couldn't help but be impressed with the execution of the dish. 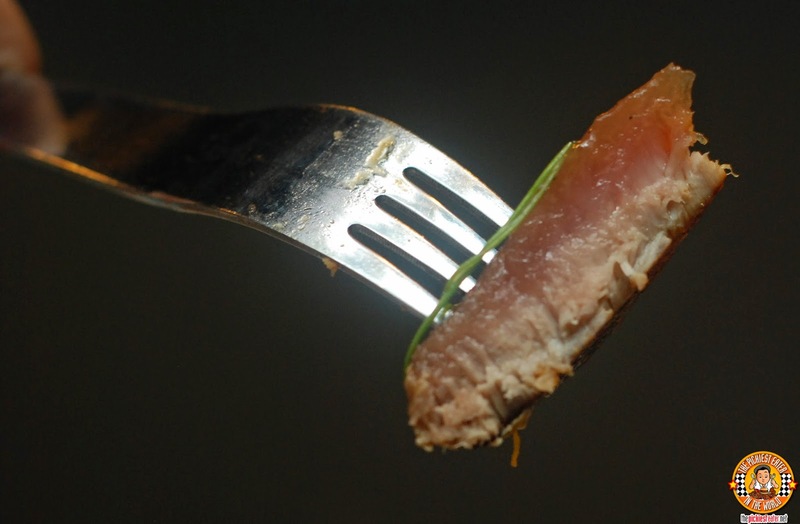 The Tuna Steak was really "Half Cooked" in every sense of the word, with one layer still a vibrant pink, while the bottom half a stunning sear. 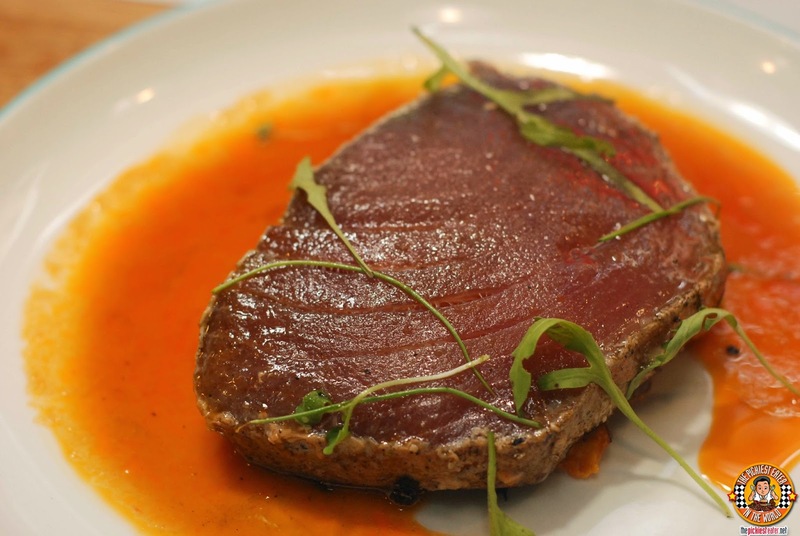 The Tuna Steak was served with Red Pepper Dashi, Warm Bacon, and Kobacha Salad with Rocket Oil. 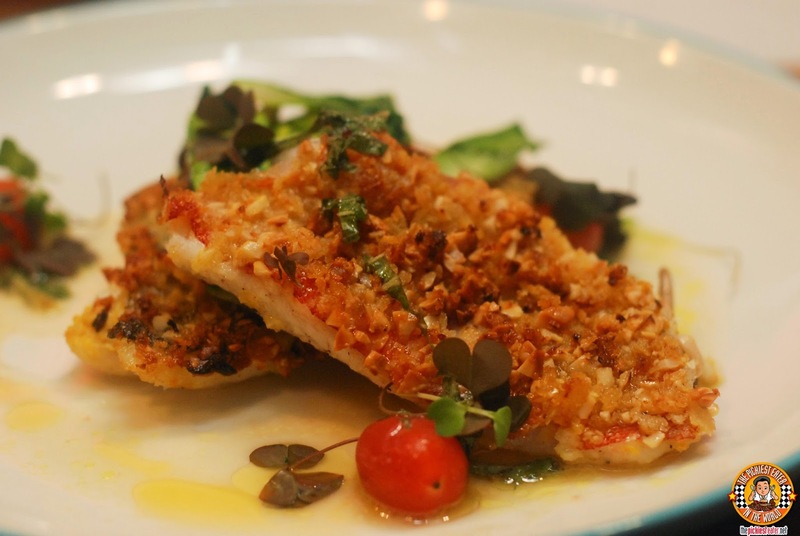 Since I sacrificed my portion of the Tuna Steak, I felt I was entitled to a bigger portion of the Almond Crusted Lapu-Lapu with Brown Butter Shiso Vinaigrette and Roasted Cherry Tomatoes (P470). Unfortunately, no one was amenable to my terms. This was one of my favorite dishes of the day, with the buttery sauce wonderfully complimenting the immaculately crusted fish. 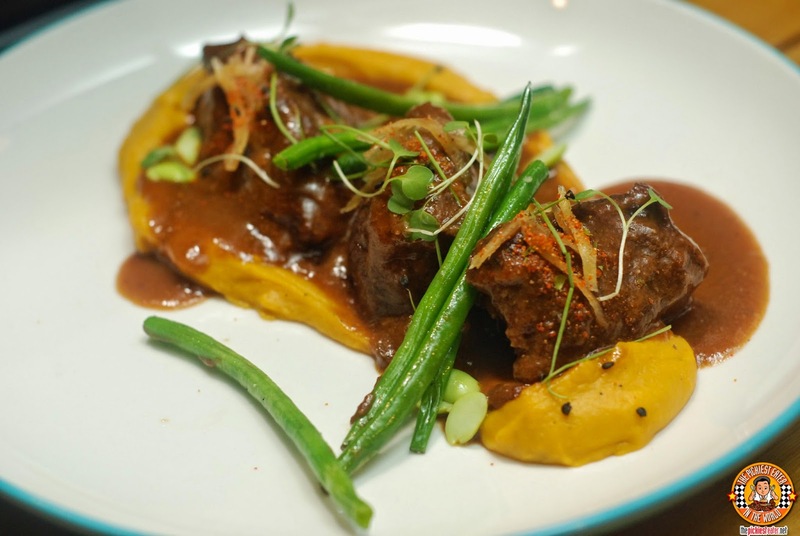 Just when I thought that nothing else could top the Lapu Lapu, Chef Him brings out the Kitayama Wagyu Beef Cheek with Miso. The Beef Cheek was so tender, it felt closer to eating something as soft as bread, then beef. The meat was so tender, when eaten with the Kobacha puree and Oven Roasted Japanese Pumpkin, it was difficult to make out the meat. The dish is garnished with crispy French beans. I'm a bit old school, so I don't usually like "Flourless Chocolate cakes". Also, I didn't seem to help that the ones I've tried in the past seem to be a bit too bitter for my liking. Well it seems Nomama's Flourless Chocolate Cake with Miso Salted Caramel (P175) has turned me into a "flourless convert". 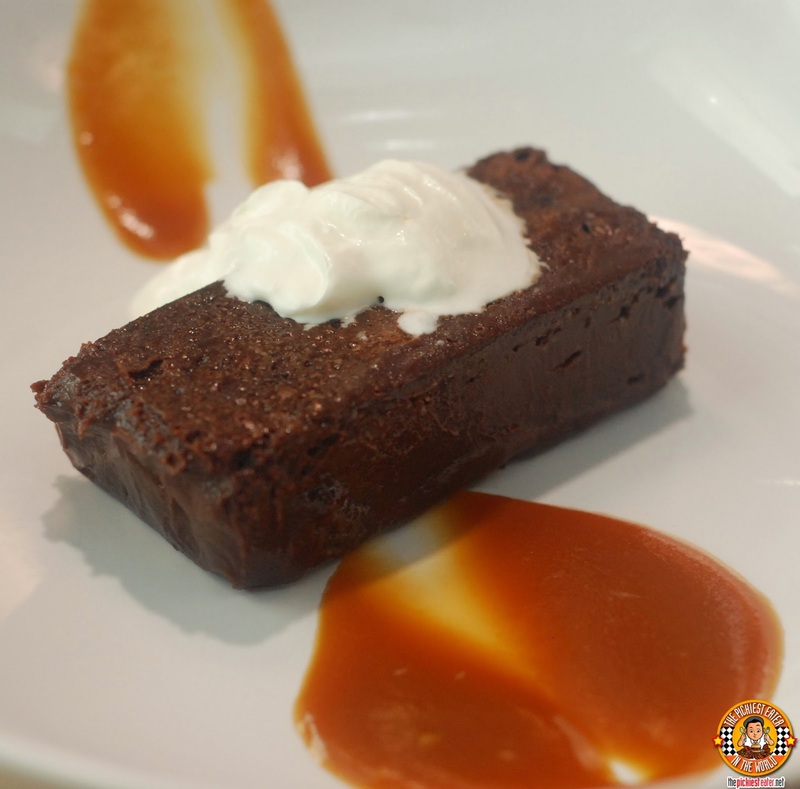 The cake had a fudgy texture to go with its rich chocolatey taste, with the presence of the balanced sweetness of the salted caramel and dollop of cream leading it away from becoming too dark. Although the Flourless Chocolate Cake left quite an impression on me, it was the Warm Smitten Cookie with Vanilla Bean Ice Cream (P255), that had me doing back flips. The soft, still warm cookie, is stuffed with everyone's favorite spread... Nutella! 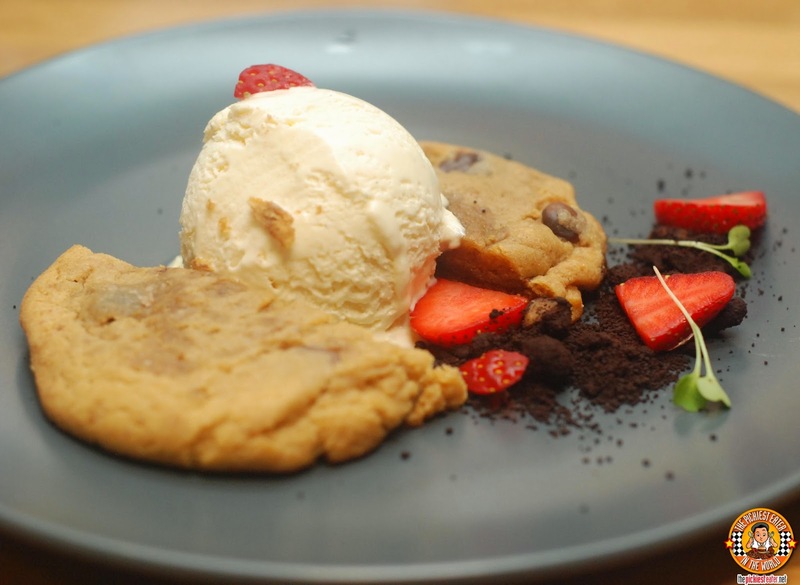 This heavenly cookie is then served ala mode, with a scoop of Nomama's homemade Vanilla Bean Ice Cream, and garnished with hazelnut crumbs and a side of fresh fruit slices. 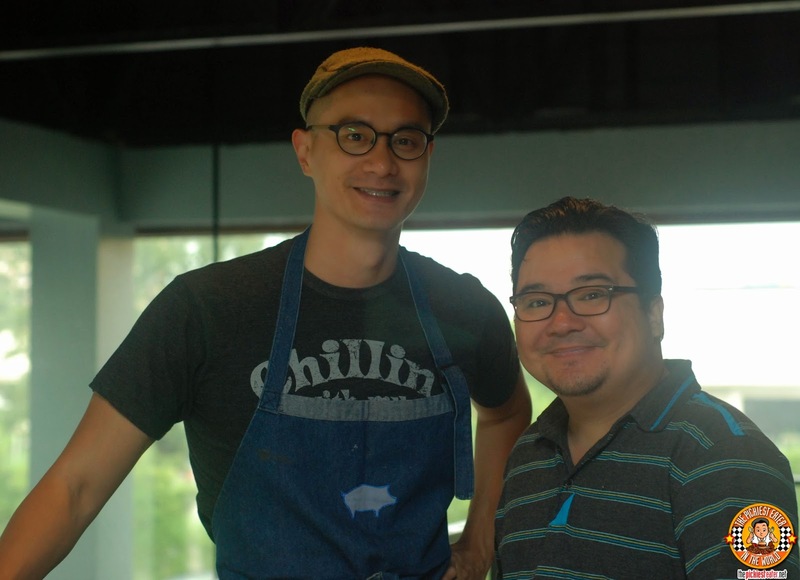 Once again, Chef Him left us mesmerized (not to mentioned stuffed silly) with his phenomenal creations that showed us why he is without a doubt, one of the top chefs in the country today! There are still so many items on the menu that i'm dying to try, which is why i'm so happy that they opened a branch at Capitol Commons!! 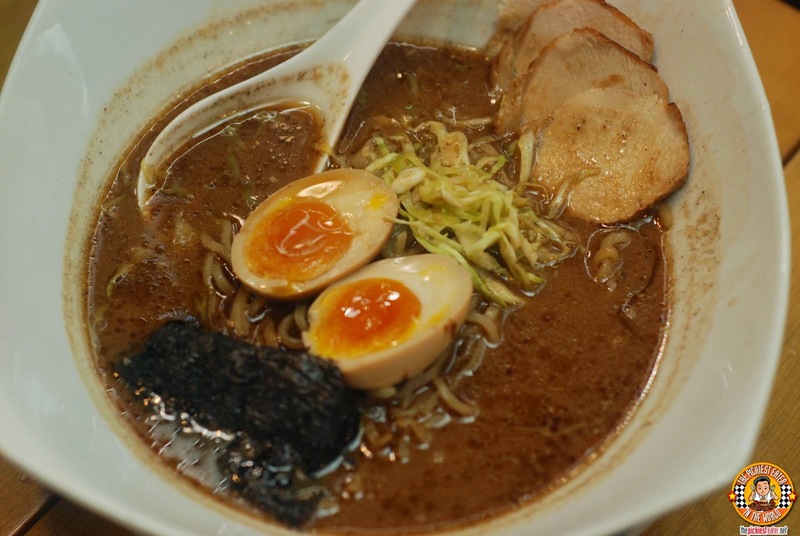 But QC residents are still lucky because in honor of the Third Anniversary of the Scout Tuason Branch, they can still avail of the Nomama 3 peso Ramen! Your second junior bowl will only cost you an additonal P3! (Promo only available in Scout Tuason Branch. For reservations, call (02) 9214913. Had lunch at their Capitol Commons branch awhile ago to acclimatize myself for the additional travel now that their branch in Scout Tuason is about to close...hu,hu,hu! Still had my comfort dishes of Thai Green Curry Ramen and Mushroom Gyoza! Yum,yum! Well from what I know about you, is that you go anywhere for a good meal! You're at more places than I am! I still don't understand why you havent started your own blog yet!! This makes me want to return to food blogging :D but I'm committed to updating my blog in lieu of pageantry. haha food blogging is fun! you should definitely go back!